The second Australian Falcon, the XL, arrived in August 1962. Externally, the most obvious change was a new convex grille, but under the skin, various components were beefed up in response to the earlier complaints. Since the plusher Falcon Futura had been a big hit in the States, a similar model was added to the XL line, featuring a more formal roofline and bucket seats. Thanks to an improved economy — and the fact that Broadmeadows was now supplying Falcons for right-hand-drive export markets like Hong Kong, Malaya, Fiji, and Japan — XL sales were up about 10% from those of the XK. However, Ford of Canada remained dissatisfied with its Australian subsidiary’s financial performance. 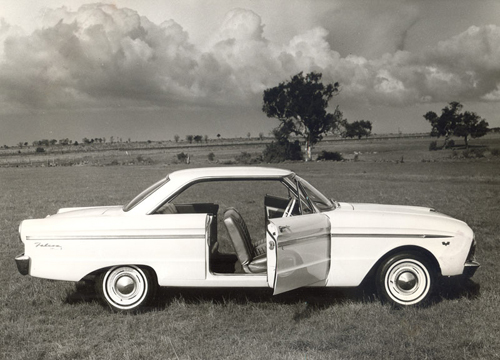 In mid-1963, Ford dispatched a new managing director, Wallace Booth, and a new deputy marketing director, American-born William O. Bourke, to bolster Ford Australia’s profit margins. At the same time, Ford sought to make its Australian-built cars more suitable for local conditions, investing AU£750,000 (about US$1.67 million) in a new 1,730-acre (700-hectare) proving grounds in You Yangs, west of Melbourne. 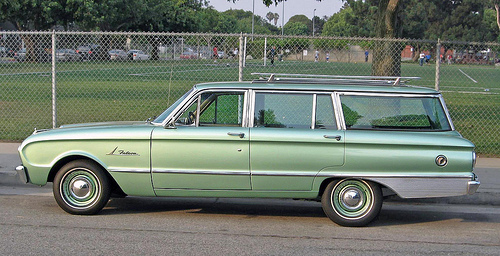 The XM Falcon, introduced in February 1964, diverged more from its North American counterparts than either of its predecessors had. 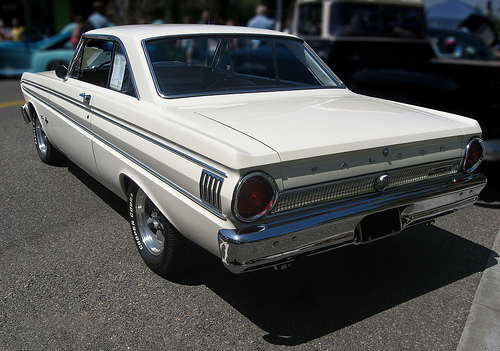 While the U.S. Falcon had an all-new body for the 1964 model year, the XM carried over the original body shell with revised trim, a new grille (based on that of the 1964 Mercury Comet), and a raised decklid with higher taillights (improving cargo space). 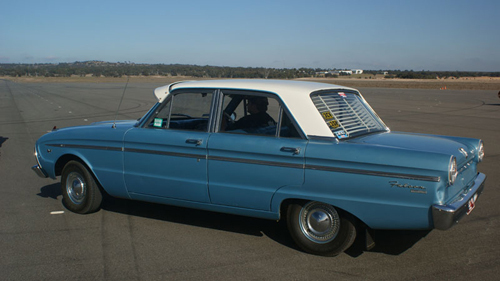 Despite its resemblance to the XL, Ford boasted that the XM Falcon had AU£1 million (US$2.2 million) worth of mechanical upgrades, mostly derived from extensive road testing on South Australia’s Eyre Peninsula. 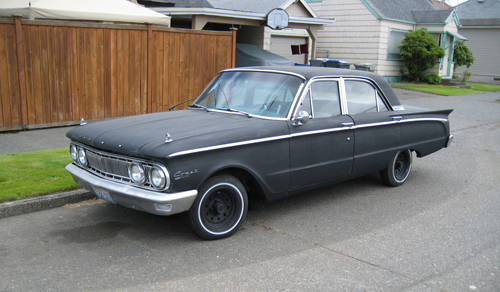 The suspension was extensively revised, borrowing pieces from the midsize Fairlane and the big Galaxie, while a new seven-bearing “Super Pursuit 200” (3,280 cc) six joined the options list, offering 121 gross horsepower (90 kW). 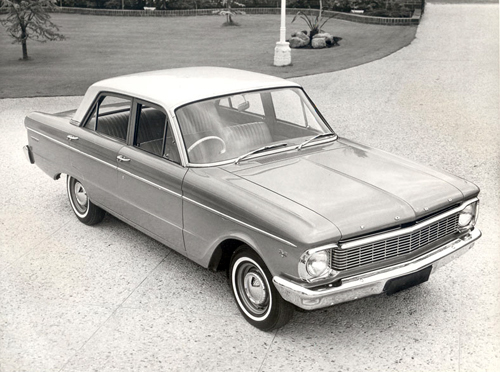 There was also an attractive new pillarless hardtop coupe, a body style common in the States, but rare in Australia. The new hardtop was the first beneficiary of the structural makeover the XM Falcon received over the course of its short run, which lasted less than 12 months. Like the V8-powered Falcon Sprint, introduced in the U.S. in mid-1963, the hardtop’s monocoque structure was reinforced with heavier-gauge steel in the rocker panels, engine compartment, and floorpan. The latter had extended side rails with torque boxes at each end that would flex slightly in response to impacts — a trick originally developed for the intermediate Fairlane in 1962. 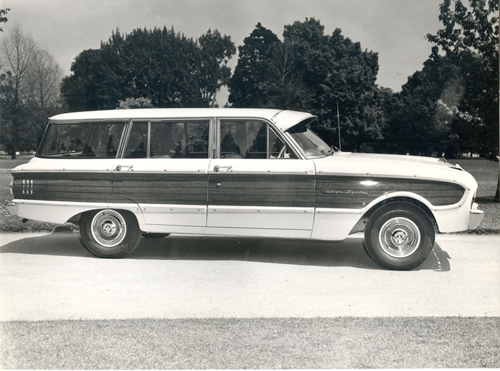 While early-production XM sedans, wagons, and utes were structurally similar to the previous XL, by the end of the model run, most XM Falcons had received the same changes as the hardtop. Since Ford did not publicize those structural improvements, they did little to alleviate the Falcon’s negative reputation and buyers remained wary. Moreover, there was strong new competition from Chrysler’s AP6 Valiant, which offered an optional V8 engine and a three-speed automatic, neither of which was available on the Falcon. XM sales were once again disappointing and Ford Australia posted a AU£4.9 million (US$10.9 million) loss for the 1964 fiscal year, surrendering some of its recently acquired market share to Chrysler. According to some sources, Ford actually considered dropping the Falcon name, hoping to give future models a fresh start. 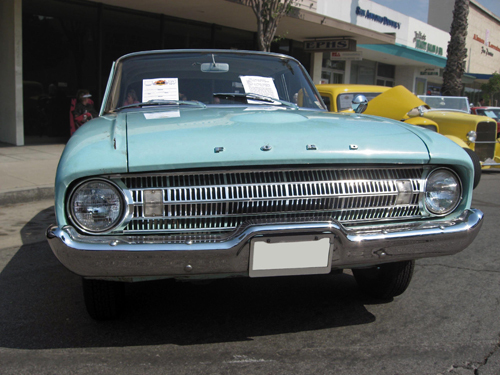 When the XP Falcon arrived in early February 1965, Ford advertising trumpeted its extensive structural improvements (many of which had actually been introduced on late-model XMs) and “road-hugging strength.” Nonetheless, marketing director Bill Bourke recognized that convincing a skeptical public would require more radical steps. In April, Bourke organized a much-publicized “XP Durability Run” at the new proving grounds in You Yangs. The plan was to run five XP Falcons a total of 70,000 miles (112,700 km) around the rugged test track at an average speed of 70 mph (113 km/h), finally laying to rest any doubts about the Falcon’s robustness. The nine-day event was a rough-and-tumble affair in every sense. Four of the five cars rolled over at least once, only to be righted and sent on their way. 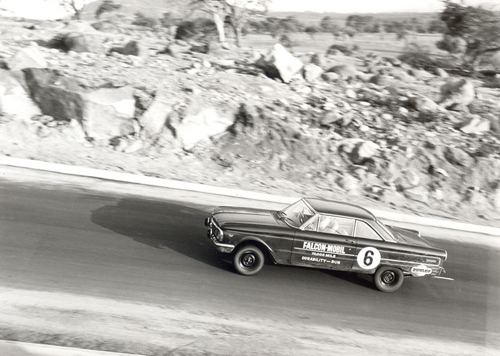 After a few days, Ford ran short of qualified drivers, eventually putting out a frantic call for anyone with a competition license. Nevertheless, all five cars survived the brutal treatment, maintaining an average speed of 71.3 mph (114.7 km/h). As intended, the Durability Run attracted a great deal of attention, including a brief visit from corporate chairman Henry Ford II. 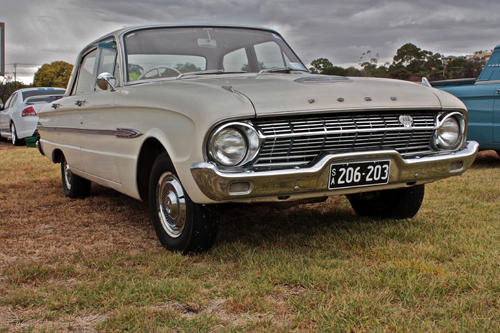 It won the Falcon newfound respect from Australia’s motoring press, including a 1965 Car of the Year Award from Wheels magazine. Sales rose encouragingly, bolstered by the addition later in the year of the upscale Fairmont model with front disc brakes and a three-speed automatic. The XP’s fortunes probably also benefited from public disdain for the awkward-looking HD Holden, although the HD still outsold the Falcon by 2½ to one. The final tally for XP production was just under 71,000 units in 17 months.